These posters have been kept in a climate controlled container since the day they came off the press and are in immaculate condition. 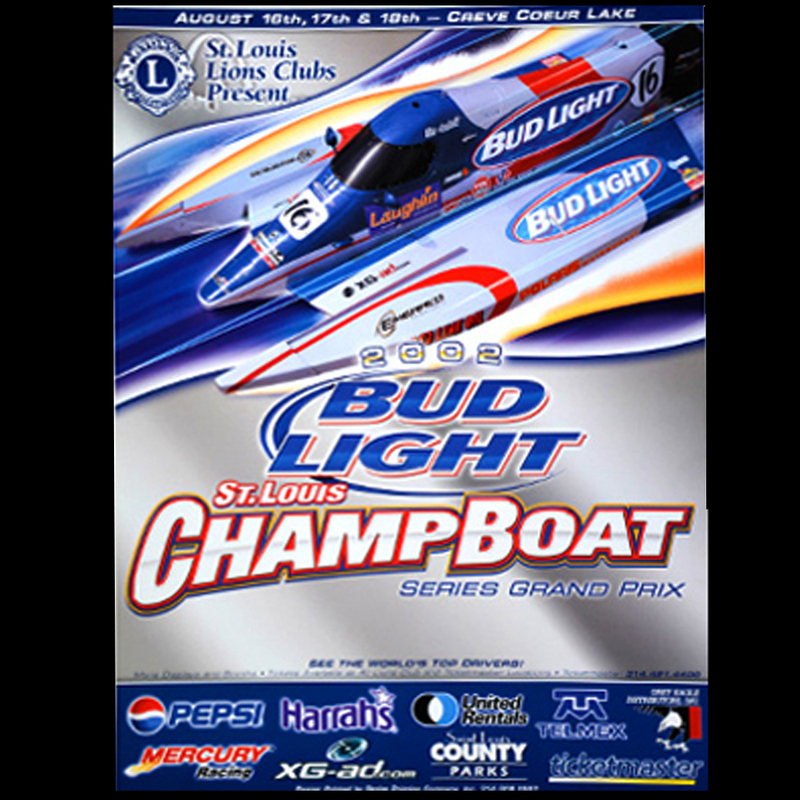 Includes Tim Seebold’s Bud Light #16 Formula 1 ChampBoat sponsored by Anheuser-Busch from the 2002 August the 16th, 17th and 18th Bud Light St. Louis ChampBoat Grand Prix at Creve Coeur Lake in St. Louis Missouri. My advertising agency Xtreme Graphix/XG-ad sponsored Seebold Racing, Australian Gold, Swedish Beauty and even had our own XG-ad Formula One Racing Teams for many years. We also helped sponsor and promote the entire ChampBoat Series in 2005 and the St. Louis Wake the Lake Race at Creve Couer Park from 2002-2008. 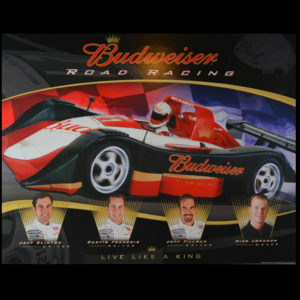 Each year we would design, produce and print a promotional sponsor poster and point of sale materials for the race event that would be featured all over St. Louis. These posters are from each year and include many of the Bud Light, Australian Gold and XG-ad boats that we designed and sponsored featured on each one. These posters have been kept in a climate controlled container since the day they came off the press and are in immaculate condition.